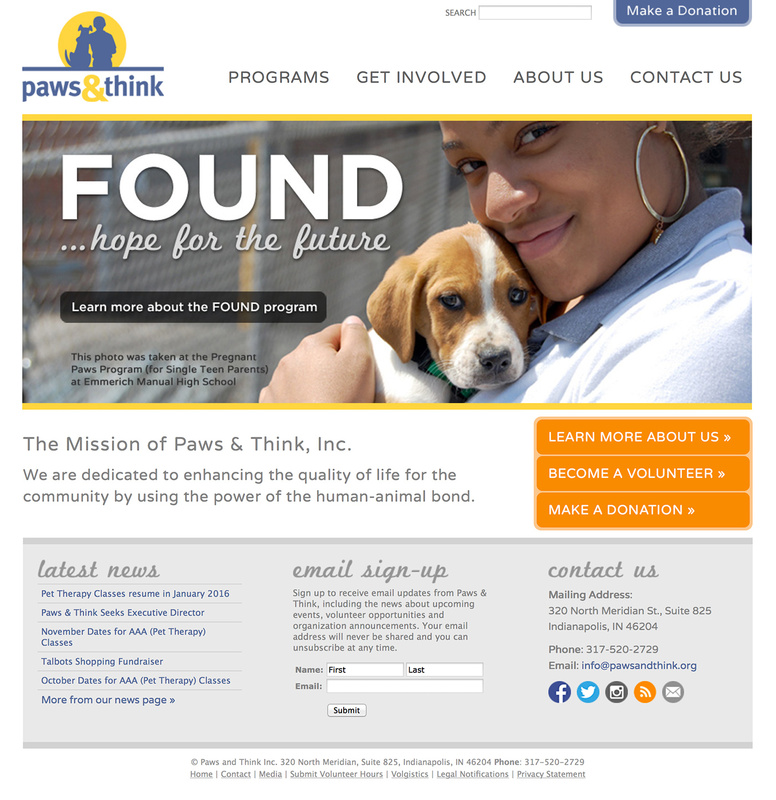 Jackson Sky believes in giving back, and one way that we do this is through our pro-bono work with Paws & Think, a local organization dedicated to improving lives through the power of the human-dog connection. The majority of Jackson Sky’s dedicated time has gone into designing and developing a custom responsive WordPress theme. Additionally, special features were developed such as online Volunteer Applications and a blog that is updated with information about organization news, upcoming events and volunteer opportunities. In addition to other print marketing materials, Jackson Sky designed a simple business card that could be handed out by board members, at events or in marketing packets. 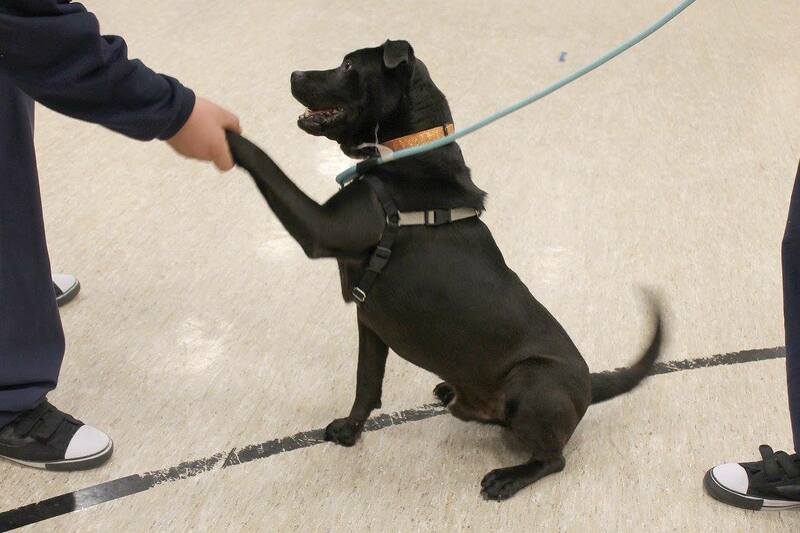 Jackson Sky also helps with enewsletters and social media campaigns and graphics, and each month, Rhaya Shilts attends the Youth Canine Program at the Juvenile Detention Center to take photos of the dogs from Animal Care & Control with their trainers. The photos are posted on social media and displayed on the dog’s kennel to encourage their adoption as well as given to their trainers as a reminder of the bond they formed with their dogs as they used positive reinforcement and affection during their training.